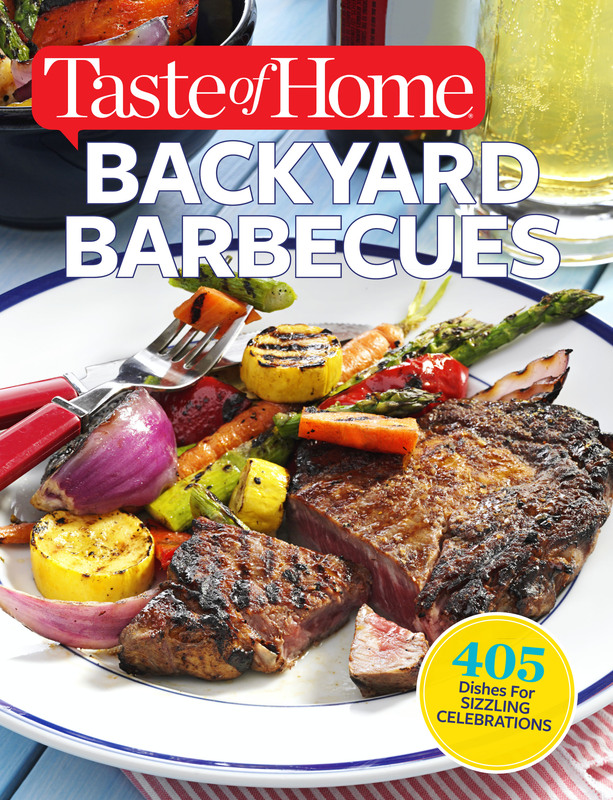 Whether you’re whipping up a sizzling weeknight family dinner or planning a warm-weather menu for friends, Taste of Home Backyard Barbecues has you covered. Turn here for all of your fiery favorites…from steaks and chops to burgers and brats…including perfect side dishes, desserts and appetizers! Best of all, each recipe is shared by a family cook so you know it’s a proven winner. Ideal for casual summer get-togethers, church picnics, family reunions, tailgates and more, Backyard Barbecues promises to be the one book home cooks reach for all season long! Few foods celebrate warm-weather fun like charbroiled sensations, garden-fresh side dishes, and frosty desserts. That’s why family cooks from coast to coast are turning to Taste of Home Backyard Barbecues for al fresco dining ideas! Whether hosting a get-together in your own yard, contributing to a neighborhood block party, tailgating at the big game or firing up the coals at the beach, Backyard Barbecues has you covered! Need a poolside appetizer? Looking for a scene-stealer at the family reunion? No problem! From sizzling specialties to refreshing treats, Backyard Barbecues is a lifesaver for surefire summer cooking success! • At the Block Party! • Bonus: For Happy Hour!